A duck boat was stuck in traffic near Leverett Circle Tuesday. 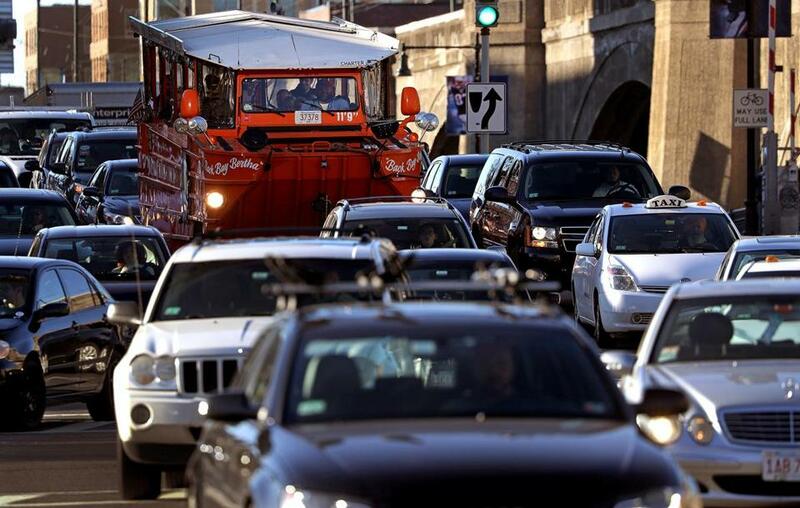 Boston traffic has been driving locals berserk for years. But now it’s become so toxic that it’s taking aim at our guests — and threatening Boston and Cambridge’s $13 billion tourism industry. Every major sightseeing firm contacted by the Globe has made or is mulling changes to deal with paralyzing congestion that never seems to end, and frustration is so intense that even PR types aren’t trying to sugarcoat the situation. “It just stinks to tour Boston right now,” said Steven Grasso, president of North American Traveler, a North Reading-based travel-planning firm. One of his groups recently spent 35 minutes in a coach traveling from Faneuil Hall to the Boston Opera House — a 0.9-mile trip, according to Google Maps. “You can’t move,” he said. 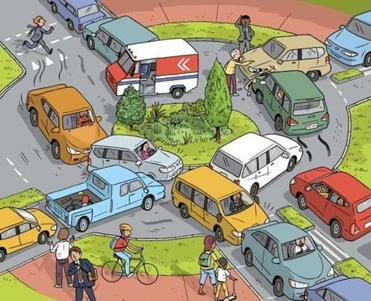 As Bostonians know, no app in the world is capable of outsmarting local traffic. That leaves sightseeing companies to do what little is under their control. They’re cutting major destinations from itineraries — who needs to see Harvard, Charlestown, the Seaport, or Faneuil Hall, anyway? They’re raising prices to cover the extra labor and vehicle costs associated with longer trips, and warning customers that they may not make it back to their hotels for a long, long time. A look at five of our diciest crossings and what it would take to untangle them. Chatty guides are being forced to dig ever-deeper into their arsenal of obscure facts as time onboard — often standing motionless in traffic — expands. “Here’s another crazy but true story,” a Boston Duck Tours narrator said on a recent evening as his duck boat took up residence in front of the John Hancock Tower on a choked St. James Avenue. As he unspooled some tale about a woman dropping a grape from the Hancock into the mouth of a partner waiting below, the No. 39 Forest Hills bus idled next to the duck boat, commuters and vacationers trapped alike. On the tours, Boston’s winding roads make for a charming anecdote as guides share the legend that the streets were laid out along paths that cows trampled during Colonial times. But behind the scenes, tour company operators tell a less quaint story: of seemingly endless construction projects, newly created bike lanes, Uber drivers — and, of course, simply too many cars in a city that was not built to accommodate them. In 2016, the typical driver in Boston and surrounding suburbs spent 58 hours in rush-hour traffic, according to Inrix, a Seattle-based firm that provides traffic data and analytics. That would likely come as no surprise to Cheryl Pope of tiny Slinger, Wis., (pop. 5,068), a tourist who enjoyed the local color on her trolley tour. “I’m car sick from all that starting and stopping,” she said moments after stepping off a trolley on State Street. “I think the reason you get so tired is all that carbon monoxide,” a companion added. It’s gotten so bad out there that Boston Duck Tours is considering axing Charlestown from its route, a plan that would still allow passengers to glimpse the Bunker Hill Monument and the USS Constitution, albeit at a distance. The company might also update the stated duration of the tour on its website from 80 minutes to 90 minutes. “We don’t want someone to miss a flight,” said Bob Schwartz, director of marketing and sales. Beantown Trolley has already made a significant change. This spring it stopped selling hop-on hop-off packages and offers an 80-minute tour. The shift came after customers were unhappy about wait times at pickup points that were stretching beyond the promised 20 minutes all the way to 35 minutes, “or sometimes a little more, to be honest,” said Richard Anzuoni, vice president of Brush Hill Transportation, which operates Beantown Trolley. His firm also offers an American history tour that takes buffs to Boston, Cambridge, Concord, and Lexington. The trip is advertised at seven hours, but tie-ups have been pushing it to as long as nine, and passengers staying in the Seaport — sometimes picked up before the tour starts — might not return to their hotel for 10 hours. “When we tell them it might be that long, some decide not to get on the bus,” Anzuoni said. Vacationers aren’t the only casualties. Traffic is threatening the whole tourism ecosystem. Any drop in the number of tours or sightseeing stops a company offers can rob local workers and businesses of income. When this tourism season ends, Old Town Trolley Tours of Boston plans to figure out a way to shave 10 or 15 minutes from trips that now regularly exceed the advertised one hour and 45 minutes. The challenge, said general manager John Welby, is saving time without cutting sites. “We’ve got restaurants, hotels, and attractions that rely on us to bring guests,” he said. The Boston Transportation Department points to traffic reduction efforts it’s making — including a traffic-signal retiming program, traffic monitoring and adjustments via live feed, and projects to encourage people not to drive — and says some recent traffic can be blamed on large-scale construction projects and events in the city. Sure, traffic reduction is one way to go, but here’s another suggestion: Perhaps sightseeing operators should stop trying to fight congestion and simply add a new — guaranteed — attraction, authentic Boston traffic.